There is something peculiar about Latino interactions. Our communication goes much further than what is simply verbalized by the spoken words. We prefer to connect at an emotional, or at what I prefer to call a spiritual level. In my work interviewing Latinos I have witnessed this peculiarity in a consistent basis. 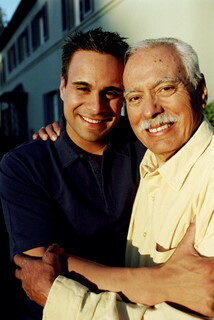 Latinos generally feel more comfortable dealing with people when there is an established emotional bond among them. Yes, I know, almost everyone does; but Latinos are different in that they seek this emotional connection in almost every daily interaction. The connection with the person is almost more crucial that the verbal communication itself. Perhaps my point is best described through examples. Have you ever been to a Latino supermarket or neighborhood store? A large supermarket chain in the northeast hired me once to understand why Latinos shop at what they considered to be low quality stores. “We do not get it,” my client said; “we are loosing customers to a store that is not very clean, is totally disorganized, carries very little variety of merchandise, and is more expensive than ours on almost everything!” I visited the Latino store in question and interviewed many of its customer. Their loyalty to the store had little to do with the merchandise they carried or the price point of the products offered; they shopped there because they felt at ease interacting with the employees. Here is a typical customer comment. On another project a large insurance company wanted to understand the importance of having Latino sales representatives. They were of the opinion that the most important aspect in selling their services were the details of the plan and their pricing structure. They had translated their brochure into Spanish and were disappointed in the Hispanic receptivity. In talking to their customers and agents over several focus group interviews I, once again, came across the importance of connecting at an emotional level. All of these examples point out the importance that Latinos place on communicating using something that goes beyond words and facts. In Latino interactions we pay a lot of attention to how we feel about the person we are communicating with and rely heavily on visual, tactual, and other non-verbal cues. Touching, kissing, hugging, storytelling, tangents, and verbalizing feelings are all important components in Latino interactions. Through our unstructured style of telling stories and going on tangents we get to learn about each other. We seem to unconsciously monitor how the other person reacts and pay close attention to how we feel about those reactions. We use exaggerated non-verbal and verbal expressions to communicate feelings because we know how crucial it is to connect at the emotional level. I find that Hispanics do this even if they are not consciously aware of doing it. In researching Latinos one has to be keenly aware of how Latinos interact and how they prefer to communicate. Not surprisingly, qualitative research works very well with Latinos because it lends itself to our peculiar communication style. Online research, however, is often problematic- not necessarily because Latinos are not online; but rather because the methodology currently relies on very structured text questionnaires and ignores the other important communication components. In a future posting I’ll touch on how Latinos are bringing their unique communication style to the online world and how it is indeed possible to build online spiritual interactions. Great article Ricardo. It is so true! You just explained why I am so friendly. Great Insight! Hola Ricardo: I lived and worked in Mexico City years ago and one of the things I did was help CA businesses find opportunities there and other parts of Latin America. What you say in your article is what we tried to tell these business people…it’s not your usual transaction. Here it’s all about relationships, trust. I need to know you, know about your family, your upbringing, shed some light on your values and if I find similarities, then I know I can do business with you. And it’s not different here in the U.S. We, as Latinos, are social/emotional beings and a lot hinges on that connection. Thanks for sharing with all of us your insights and here’s to more companies/brands understanding that! Tienes razón! The emotional/spiritual/psychological connections with Latinos are key for everything, especially in qualitative research. And beyond the body language and verbal communication the TONE of voice, all of the nuances of interactions reveal a great deal about where you as a moderator are “coming from”. Respondents can tell in a nano second if you really care and if you can be trusted. In many of my groups, especially with Latinas, by the end of the group the respondents hug me and even bless me- we have bonded, and even in the limited time of two hours, we have been able to trust each other and learn from each other. Focus groups are wonderful venues for Latinos to express their opinions, something they relish doing. It is important also that people remember that every country has its own way to do business. What works in Mexico might not work in Colombia, or Argentina. So, knowing your market and having in mind all what you said will make one a succesfull person in Latinamerican Markets. When you are in not good state and have got no cash to go out from that, you would have to take the loan. Just because that would help you definitely. I take consolidation loans every time I need and feel OK just because of that.